For the month of September, encourage customers to book certain flights by offering them a chance to win cash back! After a successful campaign in July, TUI fly wanted to use Luckycycle again to run a similar promotion on the booking of different flights. 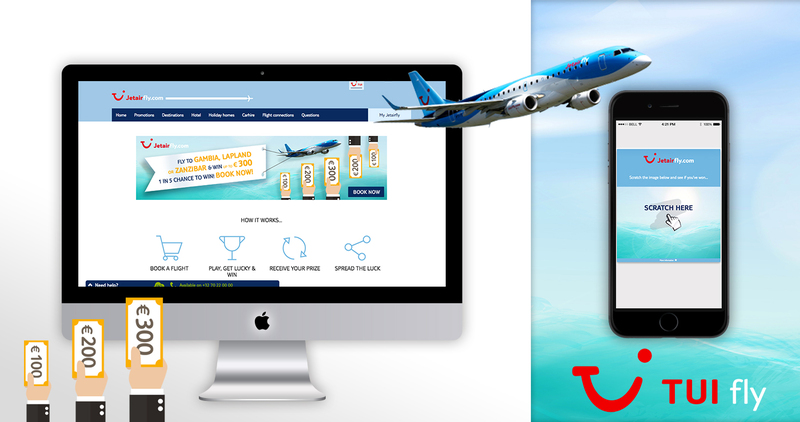 Luckycycle worked with TUI fly to offer their customers a 1 in 5 chance to win €300 when booking a flight from any Belgian airport to Zanzibar, Gambia and Kittila Lapland.